Aluminized Emergency Sleeping Bag w/ Case Just $7.49 Ships FREE! You are here: Home / Great Deals / Aluminized Emergency Sleeping Bag w/ Case Just $7.49 Ships FREE! Order the Aluminized Emergency Sleeping Bag w/ Case Just $7.49! Plus it Ships FREE! 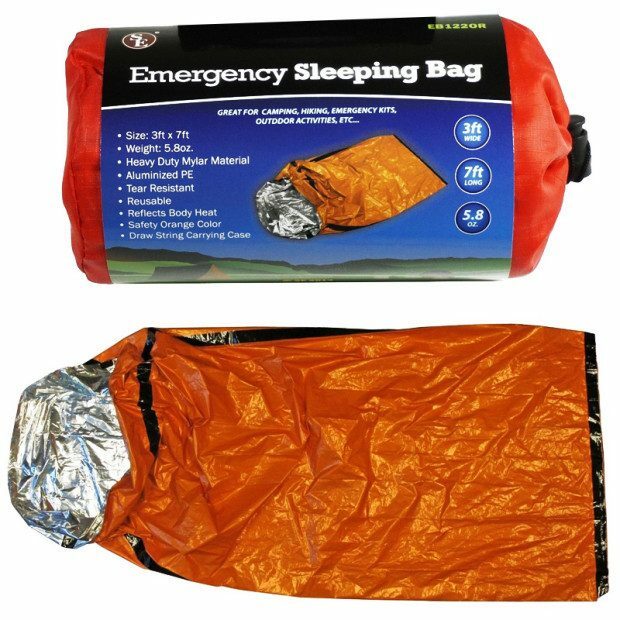 This orange emergency sleeping bag features an aluminum-coated interior that insulates for extra warmth and a strong exterior for durability. This sleeping bag is great for camping, hiking and emergencies. It can be combined with additional sleeping bags for additional heat!